Photos: Nigel Kitcher and Kate Mepham. 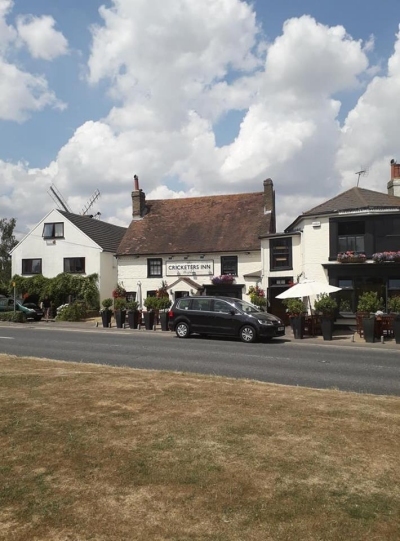 Location/Series Info: Rick Davy. IN THE PRISONER: Early scenes in "The Girl Who Was Death" are centred around 2 cricket matches. At the first, Colonel Hawke-Englishe is murdered by Death's exploding cricket ball, and Number Six escapes the same fate in the 2nd match. 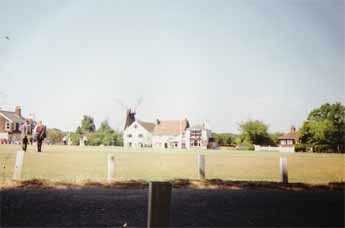 IN REALITY: The cricket scenes were filmed at four (if you include the MGM Studios Backlot) seperate locations, including stock footage here at Meopham Cricket Ground, Meopham, Kent (the shots filmed here are easy to spot due to the large windmill in the background, which still exists today). 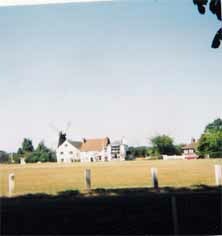 Establishing shots were filmed at Bearsted in Kent, and the actors at Eltisley Cricket Ground in Cambridgeshire. 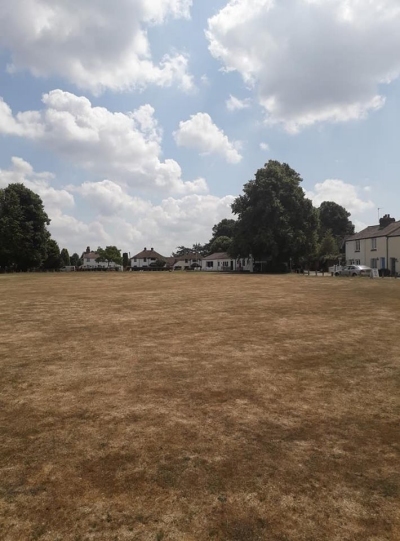 Visitor Kate Mepham in 2018 confirms that the pitch is still used for cricket.